Torchlight flickers on the elegant marble walls. The sound of a mob echoes in the street. The year is 52 B.C. and the naked body of Publius Clodius is about to be carried through the teaming streets of Rome. 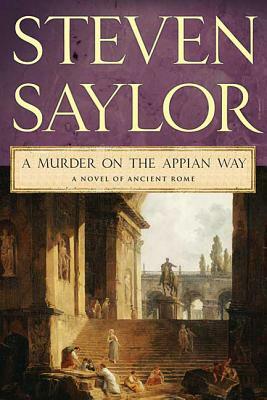 Clodius, a rich man turned rabble-rouser, was slain on the most splendid road in the world, the Appian Way. Now Clodius's rival, Milo, is being targeted for revenge and the city teeters on the verge of chaos. An explosive trial will feature the best oration of Cicero and Marc Antony, while Gordianus the Finder has been charged by Pompey the Great himself to look further into the murder. With the Senate House already in ashes, and his own life very much in danger, Gordianus must return to a desrted stretch of the Appian Way - to find the truth that can save a city drunk on power, rent by fear, and filled with the madness and glory of Rome.